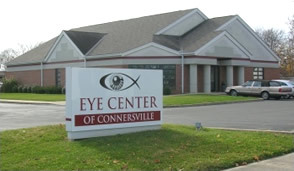 The Eye Center of Connersville is a comprehensive optometric eye clinic that offers complete eye examinations for the whole family, including contact lenses and a wide range of glasses frames. The Eye Center of Connersville also features a convenient in-house lab for glasses which results in fast delivery of your glasses. In addition, the physicians of Eye Center of Connersville offer the diagnosis, management and treatment of a wide range of eye diseases.